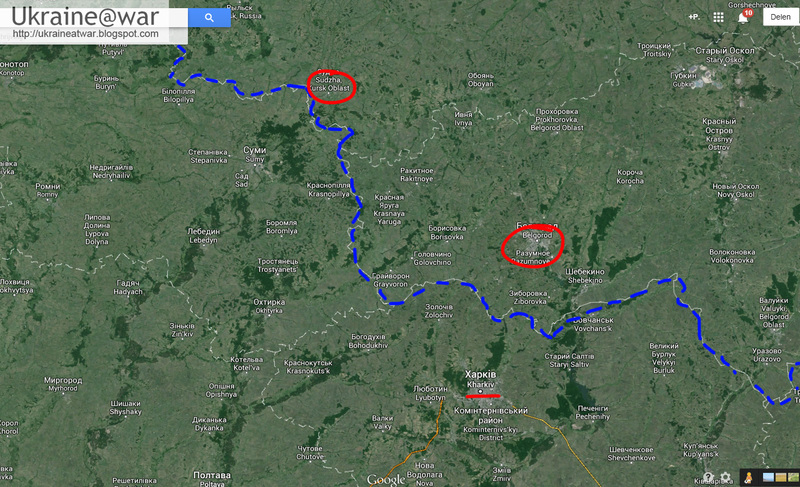 5 videos appeared with large Russian armor on the move close to Ukraines border. In the style of Putin this in the first place is for intimidation. He is not going to roll into Kharkiv with these anytime soon, because that is too much at once. He may want Ukraine to keep crucial forces near Kharkivs border though, so they can not be used in East-Ukraine. Putin's frog-in-the-pot style will mean that these units are kept close to the border for quite some time until nobody cares about it anymore. Remember he has more then 200 units near the eastern border for a long time now too. Maybe Putin wants Ukraine to attack them. Like it provoked Georgia too. In that case Russia has excuses for an all out war. And some cannot even drive well!! !